Xi’s ordeal is just the latest in a string of similar recent cases, as the U.S. government cracks down on so-called “economic espionage.” A government-employed hydrologist in Ohio, Sherry Chen, was cleared of similar charges in March. And around the same time Xi was indicted, in an unrelated case, federal prosecutors in San Francisco accused a Chinese professor and five other Chinese nationals of stealing wireless technology from American companies. The case against Xi concerned a non-disclosure agreement he signed back in 2006 with Superconductor Technologies Inc. (STI) in exchange for access to a prototype device he co-invented called a “pocket heater.” (Xi did that work for Conductus, which later merged with STI.) That sounds like something you shove in your pockets to keep warm during the winter in upstate New York. It’s actually a handy device for creating ultra-thin films of a superconducting material called magnesium diboride. That’s Xi’s specialty. Spraying these kinds of thin films over other, less conductive materials can eliminate electrical resistance at very low temperatures — something of critical importance for the electronic circuitry used in everything from smartphones to supercomputers. So it’s of great interest to electronics manufacturers, telecommunications companies, and the U.S. Department of Defense, to name a few. Here is a video of Xi talking about his research. The proverbial smoking gun in the Justice Department’s case was a May 14, 2010 email Xi sent to Chinese contacts about delivery of unspecified technology to a lab in China, as well as three other emails Xi sent later that year to other Chinese colleagues, offering to help them build a world-class thin film laboratory. Those exchanges seemed to suggest that Xi was trying to leverage his access to U.S. trade secrets for a prestigious appointment in China. Assuming the unnamed technology was the pocket heater, investigators figured they had their man and charged Xi with four counts of wire fraud in May, alleging that he “repeatedly reproduced, sold, transferred, distributed, and otherwise shared the Device and the technology of the Device with and exploited it for the benefit of third parties in China, including government entities.” Although he was soon released on bail, Xi was forced to step down as department chair at Temple and was placed on administrative leave pending the outcome of the case. His passport was confiscated (he is a naturalized US citizen), and he faced a maximum sentence of 80 years in prison and a $1 million fine. There was just one problem: the blueprints Xi shared with those Chinese colleagues weren’t for the pocket heater covered by the NDA at all, according to sworn statements from various scientists — including Ward S. Ruby, who co-invented the device. Rather, they concerned two different devices, along with other unrelated work on oxide thin films, none of which qualified as sensitive or restricted. 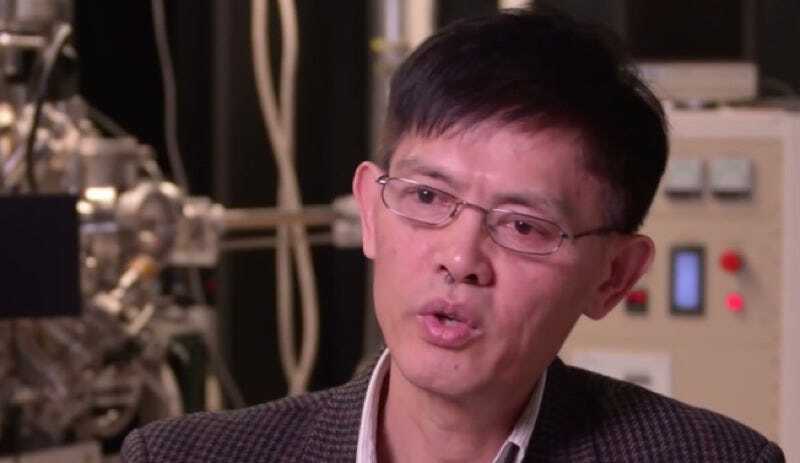 Michael Turner, director of the Kavli Institute for Cosmological Physics in Chicago and a former APS president, confessed to being stunned at the failure of investigators to seek out the appropriate scientific expertise before indicting Xi. “What is slipping through because we don’t have the expertise to properly understand and accurately identify sensitive technology?” he told Gizmodo via email. Temple University provost Hai-Lung Dai did not immediately respond to our request for comment on whether Xi will resume full teaching and research duties now that his name has been cleared. There is also the question of whether Temple will help cover his legal fees — which are no doubt substantial — given that he wrote the emails that led to his indictment while doing work on behalf of the university. Xi told APS News that the indictment may have seriously harmed his research program by delaying several potentially ground-breaking papers, since he was only allowed limited contact with his group over the summer. He was working on nine ongoing projects that rely on federal grants, several of which are coming up for renewal; not having results could put those grants in jeopardy.